Beach painting on stretched canvas 24" x 20", sides measuring 1 1/2". 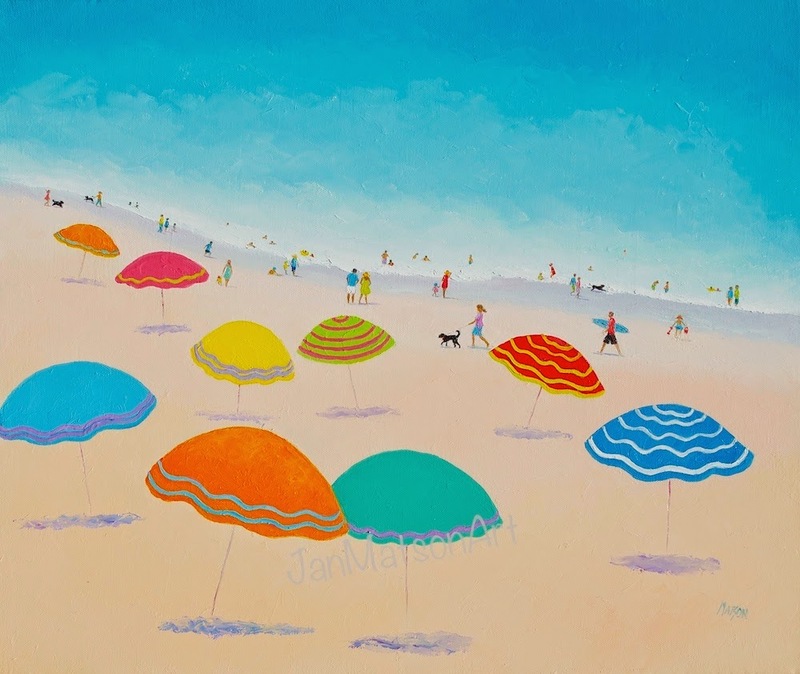 A bright and colorful array of beach umbrellas in this seascape. 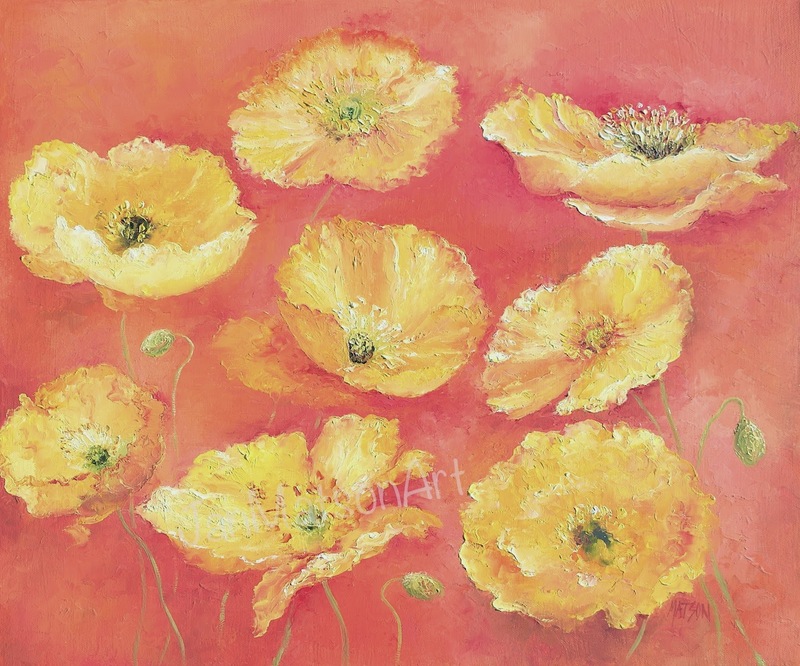 Bright yellow poppies on an orange background will add a cheerful note to any decor!